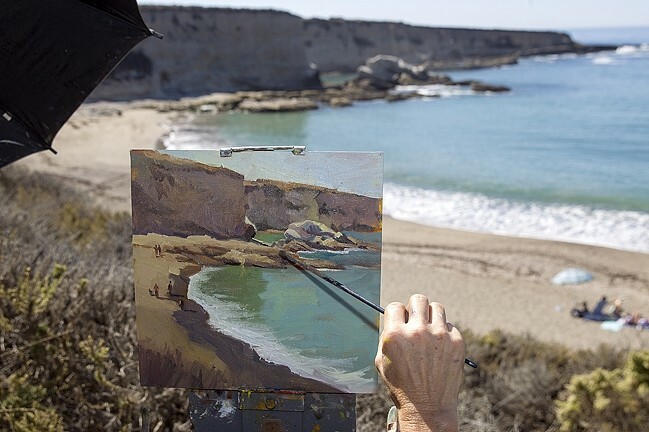 PICTURE PERFECT VIEW: Artist Rita Pacheco returned to SLO County after 10 years to capture the view from Spooners Cove at Montaña de Oro for Studios on the Park’s Wet Painting Invitational. So when Pacheco, who is based in Carlsbad, was invited to partake in Studios on the Park’s Wet Painting Invitational, she jumped at the opportunity for another chance to paint the view that got away. A dozen painters from across the country were invited to set up wherever they liked and paint a scene from the SLO landscape on Sept. 26. Their works will be on display and available for sale through Oct. 23 at the gallery in Paso Robles. This time, Pacheco set up on a hill overlooking the water and families enjoying the coastal breeze, which provided some relief from the triple-digit heat that day. She began painting in the early afternoon and about two hours later, her dreamy, impressionistic rendering of the cliffs surrounding the cove was complete. Sometimes she’ll take photographs and work from those at home, but given the choice, Pacheco would rather be painting what’s in front of her in the fresh air. TRAVELING ARTIST: While Rita Pacheco is based in Southern California, she enjoys traveling across the state and country to paint new landscapes. 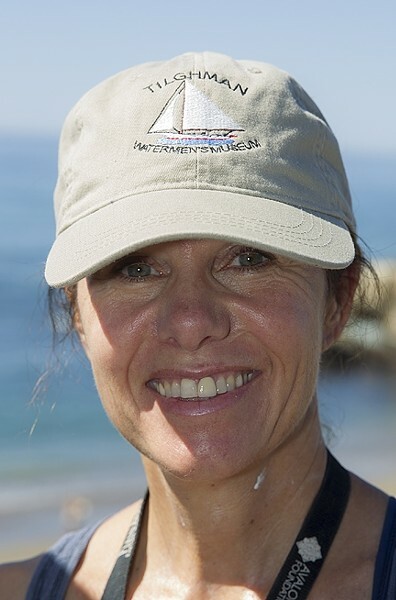 While Pacheco has her favorite painting spots near her home area, including La Jolla and Laguna Beach, the artist loves to pick up and go so she can tackle different views. Normally Pacheco would take a painting home and make some finishing touches, but for the invitational her landscape of Spooners Cove will hang and sell as is. As she put the finishing touches on her still-wet painting, the light and shadows surrounding the cliffs and dancing on the tips of the waves bounced around once more. FRESH PAINTINGS : Works from the Wet Painting Invitational will be up on display and available for sale through Oct. 23 at Studios on the Park at 1130 Pine St. in Paso Robles. Visit studiosonthepark.org for more information. For more of Rita Pacheco’s work, check out ritapacheco.com. Ryah Cooley is enjoying the view at rcooley@newtimesslo.com.